Join Hattie Miles for a festive guided walk in Westbourne on Thursday 10th December and Saturday 12th December -10.45am start. Come along and you will learn that Westbourne’s expansion has many parallels with the development of our traditional Christmas celebrations. 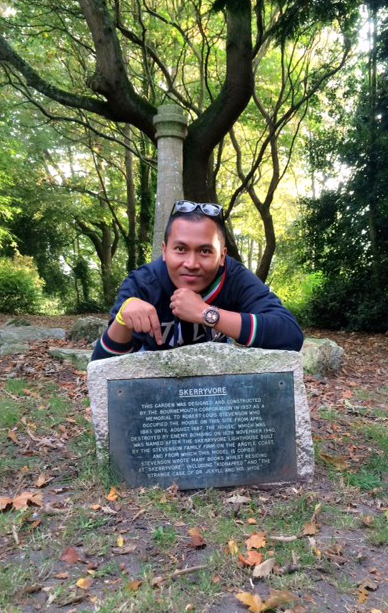 You will also discover some of the area’s hidden secrets and find out about the famous people connected to the area. The walk will be interesting and lots of fun. Meet in Westbourne arcade, close to the Seamoor Road entrance, ready for a 10.45am start. Price £6 (£5 for over sixties and students). 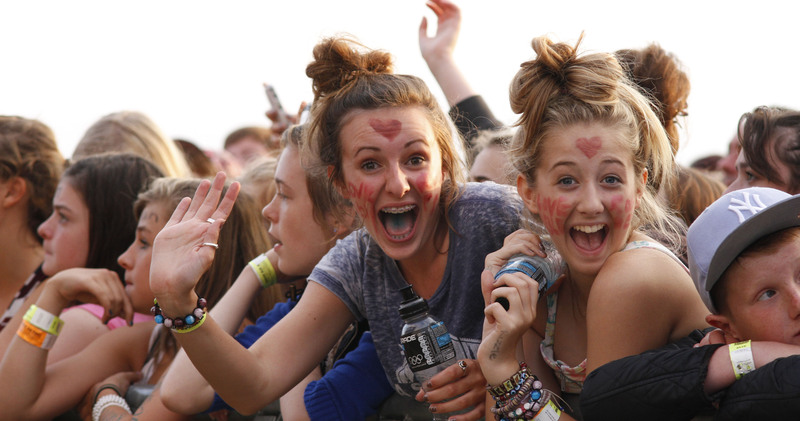 No need to book – just turn up! Walks take about one-and-a-half hours and finish in time for lunchtime refreshments and Christmas shopping. Be prepared: This is a gentle, mainly flat walk, but I would recommend wearing comfortable shoes and dressing appropriately for the weather. Join Hattie Miles for a circular walking talk from the Hotel Miramar, Bournemouth. The walks will take place on Wednesday 29th October and Monday 3rd November, both starting at 10.30am and finishing in time to enjoy coffee or a drink at the Miramar and maybe one of their delicious lunches. During the walk you will find out about some of the areas history, famous residents and visitors, and some of the town’s hidden secrets. The walking talk price is £6 (£5 over sixties and students). There is no need to book the walk, just turn up! Meet in reception ready for a 10.30am start. Be prepared: this walk will include a sloping zigzag path down to Bournemouth promenade and some steps with a good rail. I would recommend wearing comfortable shoes and dressing appropriately for the weather. For more information see: walkingtalks.wordpress.com or contact Hattie Miles on hattiepix@gmail.com (group bookings on alternative days can be arranged) The walk will take about one-and-three-quarter hours. Join Hattie Miles for a circular walking talk from the Miramar Hotel, Bournemouth. The walks will take place on Tuesday 21st October, Wednesday 29th October and Monday 3rd November, all starting at 10.30am and finishing in time to enjoy coffee or a drink at the Miramar and maybe one of their delicious lunches. During the walk you will find out about some of the areas history, famous residents and visitors, and some of the town’s hidden secrets. Additional information: walking talkers are welcome to park in the rear car park of the Hotel Miramar. For anyone wanting to come by bus, there are a range of buses that will drop you very near to the hotel. THE LANGUAGE OF COLOUR: Thursday 23rd October. The walk will start at 1.00pm. Meet at ETC International College, outside reception. 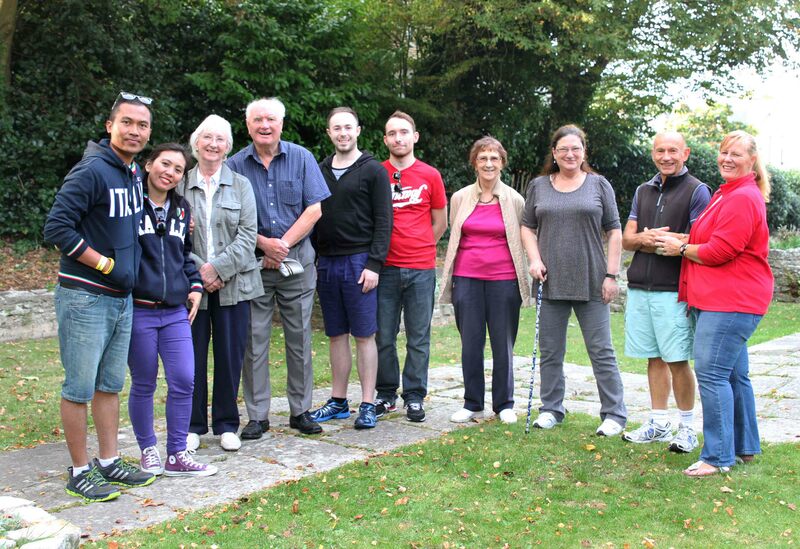 Enjoy English conversation on a walk with Hattie Miles discovering Autumn colours in Bournemouth’s beautiful upper gardens. Please wear comfortable shoes and a warm jacket. This walk takes about one-and-a-half-hours and finishes in The Square, Bournemouth. This walk is exclusively for ETC International College students! 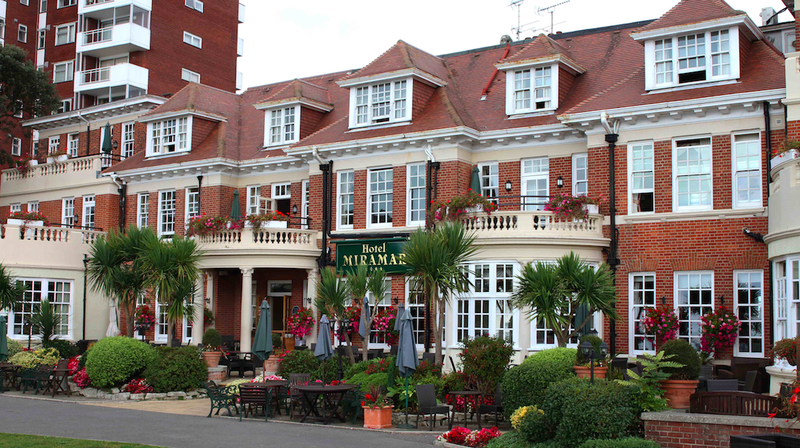 A new circular walking talk from the Miramar Hotel, Bournemouth, is being created. Details will be posted soon. The walks will take place on Tuesday 21st October, Wednesday 29th October and Monday 3rd November, all starting at 10.30am and finishing in time to enjoy coffee or a drink at the Miramar and maybe one of their delicious lunches. The walking talk price will be be £6 (over sixties and students £5). There is no need to book the walk, just turn up! Thank you Vincent and Catherine, who came on Sunday’s Westbourne Walking Talk, and have sent these photographs for walkingtalks.wordpress.com. So glad you enjoyed the walk and hope that you had more fun during your holiday in Bournemouth. Certainly you had good weather. Keep a look out for information about Walking Talks in the Bournemouth area. More walks are planned and we hope lots of you will come along and help make them a success. Walking talkers at Skerryvore in Westbourne. The fourth Westbourne Walking Talk today was enormous fun. Thank you to all of you who came along and made it memorable and enjoyable. This was the last in a series of four September walks in Westbourne. All of them have had excellent weather and enthusiastic participants who have listened well and made really interesting contributions too. 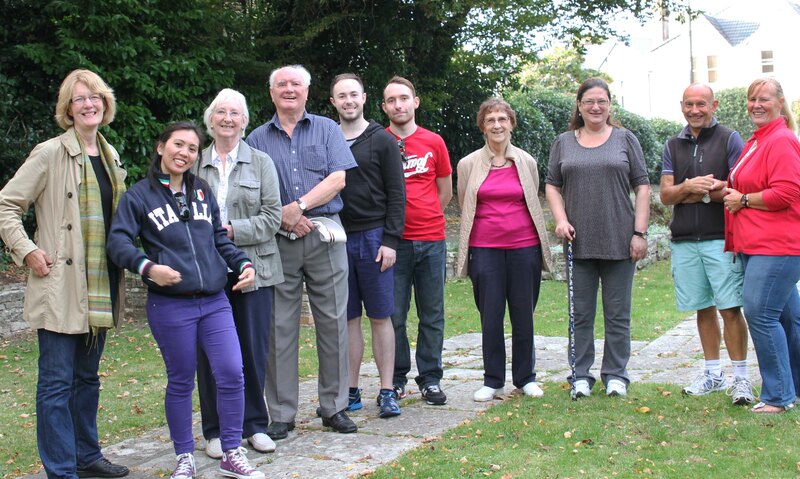 There will be more walking talks in Westbourne in the future. In fact, I am planning a Christmas themed series for December. Keep your eyes peeled for posters and information on this site and the Walkingtalks Facebook page.